I’ve been working as a river guide since before I graduated college. I grew up on rivers and started floating when I was just four years old. Rivers are a part of me and I hope that I can give back to there protection. In my area in Montana, individuals have begun building trophy homes all over our natural waterways at an alarming pace. We call it “Real Estate Runs Through It.” It saddens me to see out-of-state individuals building their trophy homes 8 feet from the riverbank as if it were Jersey beach frontage. I’ll remind you that these are rivers that floods each year, which later requires the ill informed owners to build concrete retaining walls thereby damaging the riparian habitat further. It seems senseless and naive. Who wants to move to a river to get away from it all only to back cast your fly rod and snag your porch grill, block the mountain views with a 70 inch big screen tv, or hear your spouse holler at you from the driveway to take out the trash. Don’t believe me? 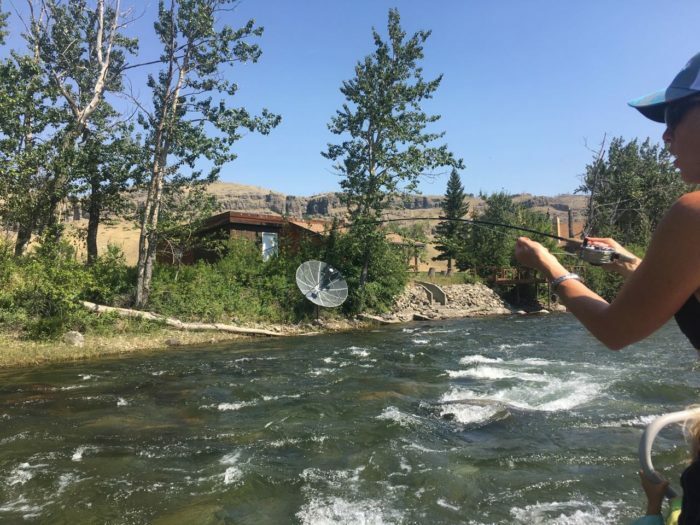 Take a look at the Stillwater River and you’ll find that homeowners have installed their satellite TV dishes into the riverbed for clearer reception. We need to preserve river corridors so that future homesites don’t make the same mistakes. More wild and scenic corridors will protect the riparian habitat and spawning grounds, and further promote a better experience and connection with all that is right with moving water. Protect our waterways. Montana enjoys a billion dollar tourism industry from annual river recreation. Rivers are a lifeblood of our economy and it will be lost forever without thoughtful planning and conservation.